WHY?! Blog Series: Why do we need darkness at night? Why is it critical to consume so many healthy fats? Eating PLENTY of healthy fats is essential for getting your hormonal system in shape in preparation for pregnancy. Fats are also critical for the development and growth of your baby’s brain and entire central nervous system. Healthy fats also provide satiety and keep you feeling full longer. A very important thing to note is that all of our major reproductive hormones – specifically estrogen, progesterone, testosterone and cortisol – are produced from cholesterol. Cholesterol is literally the mother hormone that turns into each of the necessary hormones to make a baby. I tell clients all the time that without enough cholesterol in the diet – and therefore in the body – it’s like trying to build a house without bricks. It just doesn’t work! We need enough cholesterol coming in in order to make our reproductive hormones. This is why it’s so important to consume lots of high quality fatty acids (i.e. cholesterol). On the other hand, an inadequate intake of healthy fats results in our bodies not having the building blocks to make hormones – and that’s when we observe negative consequences such as irregular menstrual cycles and poor ovulation, just to name a few. Fats from high quality sources are a critical addition to your diet. Not only do the fats themselves add nutrients to your body, but they also help your body absorb and utilize other vitamins and minerals from the other foods you eat. 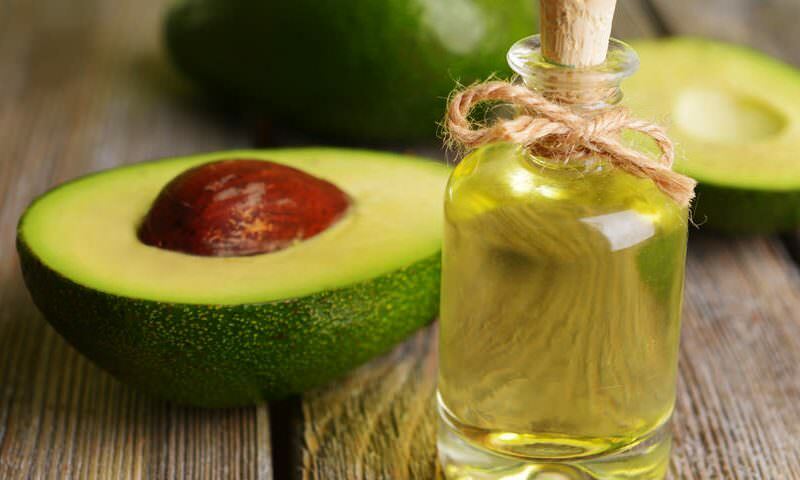 Foods high in healthy fats are essential as they deliver fat soluble vitamins A, D, E, and K, which are often lacking in low fat diets and are essential to a healthy body and a healthy pregnancy! Where do healthy fats come from? Healthy fats are found in real, whole foods that are minimally processed. When purchasing animal fats, make sure that they are ALWAYS organic – toxins are commonly stored in fat cells, so the cleaner the animal, the cleaner the fat. Eggs are a fertility & pregnancy superfood! They are incredibly nutrient dense, loaded with vitamin A, choline, iodine, selenium, highly digestible protein, and, depending on what the chicken ate, good levels of vitamin E, vitamin K2, and DHA. Egg yolks are also a great source of choline – a critical nutrient for baby’s brain development that also helps prevent birth defects. Always choose pasture-raised eggs, this guarantees that the chickens from which they come from are feasting on nutrient-rich grasses, bugs and insects. Coconut Oil (and other coconut products) contains Medium Chain Triglycerides (MCTs) which are the easiest type of fatty acid that your body can burn for calories, making it beneficial for weight loss. MCTs are a very unique form of saturated fat that have been shown to possess antioxidant and antimicrobial properties to help support the immune system, as well as antifungal, antibacterial, and antiviral immune benefits. Coconut products also contain a high amount of lauric acid, one of the main fatty acids found in breastmilk. It’s important to consume foods rich in lauric acid during pregnancy to improve breast milk’s antiviral quality. Coconut oil has a fairly high smoke point, meaning it can withstand higher temperatures without being damaged or denatured, making it a preferred oil for cooking. Wild caught salmon, mackerel, sardines, and herring are rich in omega-3 essential fatty acids. Omega-3 fatty acids have been shown to improve fertility by helping to regulate hormones in the body, increase cervical mucus, promote ovulation and overall improve the quality of the uterus by increasing blood flow to the reproductive organs. Omega-3’s are also anti-inflammatory, therefore helping to reduce inflammation in the body. In regards to fertility, reducing inflammation is especially important in the pelvic area. Even if you don’t suffer from infertility, high-dose clean fish oil is the most important supplement you can take before and during pregnancy for several reasons, but most importantly for the development of the child’s brain. Long-chain Omega-3 fatty acids are critical for fetal brain development to provide your baby the best possible mental advantage coming into this world. The fetus’ need for DHA is greatest in the last trimester of the pregnancy as fetal brain cells are being created at a prodigious rate (more than 250,000 nerve cells per minute). If you don’t have adequate supplies of DHA in your body, your fetus’ brain is going to have trouble keeping up with the growing demand for DHA building blocks. Thus, pregnancy is a critical time to take fish oil supplements. Fish oil can also help pregnant women avoid two serious conditions that can occur during pregnancy: pregnancy-induced hypertension (pre-eclampsia) and gestational diabetes. Both of these conditions can be treated by decreasing the levels of “bad” eicosanoids (pre-eclampsia). To accomplish this, pregnant women need to take a high quality, potent fish oil supplement before and during pregnancy. After giving birth, I recommend that new mothers keep supplementing their diet with high-dose fish oil to lower their risk of getting postpartum depression. After birth, the levels of long-chain Omega-3 fatty acids (especially DHA) drop dramatically in the mother’s blood. This is similar to the decreased levels of long-chain Omega-3 fatty acids that are observed in depressed patients. By supplementing her diet with adequate levels of high-dose fish oil, a new mother can avoid that drop in long-chain Omega-3 fatty acids, and thus will likely avoid any resulting depression. Supplementation with fish oil is also important for the mother who is breastfeeding in order to maintain the DHA levels in her breast milk that are crucial for the development of a young baby’s still rapidly growing brain. They’re packed with folate, a B vitamin that helps boost fertility in both men and women and prevents neural tube defects. Avocados are also extremely rich in anti-inflammatory monounsaturated fats. Research shows that when a woman eats one avocado a week, it balances hormones, sheds unwanted weight, and prevents cervical cancers. A recent study found that monounsaturated fat – found in olive oil, avocados, nuts and seeds – was better than any other kind of dietary fat for would-be mothers. Those who ate the highest amounts were 3.4 times more likely to have a child after IVF than those who ate the lowest amounts. US experts behind the study believe monounsaturated fats – which are already known to protect the heart – could improve fertility by lowering inflammation in the body. And get this – it takes exactly nine months to grow an avocado from blossom to ripened fruit! Avocados aren’t just delicious, but they are a lovely symbol of fertility and gestation. A recent study found that consumption of low-fat dairy products is associated with anovulatory cycles (read: no ovulation), while consumption of full-fat dairy products is associated with healthy ovulation. If you can tolerate dairy, consider including organic, grass-fed, full fat and preferably raw: butter, ghee, milk, plain yogurt, kefir, and/or cheese into your diet. Good fats aren’t only essential for getting pregnant, they are also critical for a baby’s brain and neurological development. So, even if you’re already pregnant or nursing, it’s important to continue eating plenty of healthy fats! What’s your favorite way to ensure that you’re eating enough healthy fats? Coconut oil isn’t just a healthy fat for consumption, it does SO MUCH MORE! How do you use coconut oil? Are there any more WHY?! questions that you’re dying to have answered? Spread some healthy fats lovin’! Sharing is caring, and I bet you have some friends who would love to read this too :).